Prof. Des Walling retired in February 2016 as chair of the Board of IAHS Ltd. IAHS President Hubert Savenije and Secretary-General Christophe Cudennec thanked Des for his outstanding contribution to IAHS over more than 20 years. Des remains Emeritus Professor of Geography at the University of Exeter from where he received his PhD. Des has had a highly distinguished career as a hydrologist, specialising in erosion and sediment yields and catchment sediment budgets. Amongst his many awards, in 2007 he was the recipient of the International Hydrology Prize awarded jointly by IAHS, UNESCO and WMO. He is a past President of the IAHS International Commission on Continental Erosion (ICCE). Des has authored more than 460 scientific papers, including many in HSJ, and edited 30 books amongst which are several Red Books dating back to 1982. 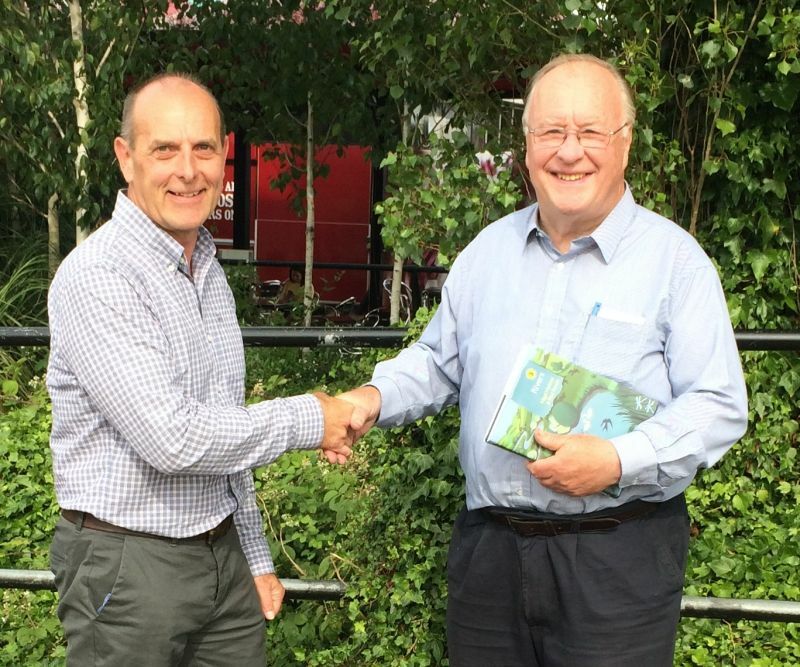 Mike Acreman, secretary to IAHS and co-Editor HSJ, presented Des with a book on British rivers and a card to mark the occasion.